So I am going to start by saying that I did not personally try this product. My beautiful sister in law Jessica did! I have naturally wavy hair, and I try to bring the waves in my hair out. Not only is my hair pretty healthy, but this is a smoothing product which insinuates there is weight to it, and that just wouldn't work for my hair. But Jessica has A LOT of heavy curly red hair (think Merida from Brave) and she recently had an unfortunate experience in a salon that left her hair frizzy, dry and sad. So I passed this product off to her and asked her to use it and share her results. I looked at her hair closely before and after she used it to gather my own conclusions too. It has nice packaging. I actually like the jars better than the tubes. I feel like you have more control over the amount of product you use and you can get every last drop of it out! It smelled nice, it wasn't overpowering or super strong, but it smelled clean and light, which I found pleasant. A little did not go a long way for Jessica, we got a little travel size from Ulta and she used most of it in one go. However remember that she has long, thick and curly hair that was left porous form a recent salon mishap. If you have shorter or finer hair you will have a different experience. So here is what we did - the bottle had instructions for different kinds of uses. One instructed us to put it on in the shower after shampooing and let it sit for about 3 minutes for a "quick moisture boost". It had an option for more intense hydration by leaving it on for 20 minutes with a cap. For maximum effectiveness we were instructed to put it on damp or dry hair and leave it on overnight. We did choose the last option for this test. She put it on dry hair (which may have played a factor in the longevity) because that tends to yield the most effective results. Our results were amazing. Her hair is still not 100% back to normal, but the frizz was reduced by half, and what used to be a mess of straight fly aways are now light curly frizz. The softness and hydration was obvious right away. She was very pleased with how much more bounce her curl had and the reduction of frizz after one use! So I am a fan for sure, and recommend giving this one a try yourself! First let me apologize for the two mascara reviews in a row. There have just been two big name brand mascara releases recently. It was important o me that I did not review this mascara based on deluxe sizes (which are often slightly different) or on first impressions. I like to use a product for at least one week before reviewing it. So let me just go over each point. I like the packaging. It is sturdy, luxurious feeling and functional. It is sleek and doesn't have to many frills. The formula is great. It doesn't have an strong odor or any kind of oddities (such as particularly to thick or runny). You get a little bit of the clump factor with this mascar - but in a good way. It doesn't leave a clumpy look, it just sticks some lashes together which I suppose jumps down to separation too. You have that definition/separation, but some lashes stick together. I am a stickler for this, I like my lashes clump free, and I didn't mind this one at all. There were a few times it got out of hand and I was able to use a brow grooming tool or disposable mascara wand to easily maintain definition. The lengthening effect was insane! My favorite thing to do with this mascara was to layer it over other brads that have a lot of definition but not a lot of length to create INSANE lashes! The length was a wow factor for me. I also was impressed by lack of flaking, especially since it is so lengthening. I am a fan of this one and I highly recommend it. One thing that I definitely struggle with is snacking. I LOVE snacks. I love to eat food in general. One of the goals I have in my health journey is to not feel like I have to "go without" so to speak. I do not want to feel hungry or limited all the time. One of the ways this is done is by having a smaller slice of cake at the birthday party, or opting for a salad over alfredo pasta at Olive Garden. But this doesn't conquer my love of snacking. So I have been trying to find replacements for my favorite snacks and go to that are still convenient but a little healthier. ***I do not receive any kind of compensation or kickbacks for any purchases made through the links posted on this article. Oh Popcorn, my vice! I love it so much! So what do I replace these crunchy tasty snacks with? Popcorn. Now I am not talking butter basted salt covered microwave popcorn. And I also don't think you should haul out your air popper. I am woman of convenience. So this is my popcorn hack! You can microwave popcorn kernels! I am not kidding. There are two options. You can take a glass bowl and put 3 tablespoons of kernels in it with no oil or butter at all. Then you cover the bowl with a plate and I usually put in for two minutes. What I love about this is that it is WAY less expensive, and there is no waste. 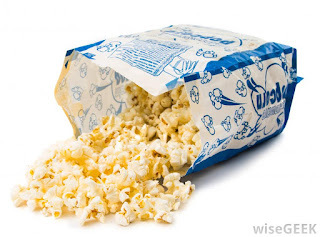 Any unpopped kernels can be place back in the microwave to be popped, or back into the bag. The second method is to use a specific microwave popper. I like this one for $6 from Walmart. It's easy to use and works the same. Then your popcorn is oil and butter free. Sometimes I eat it plain or I put a little I can't Believe It's Not Butter on it with some salt. But even if you do use butter you can ditch the preservatives as well as measure the amount of butter you use and control the calories. I am a major cookie fan. I love pretty much all kinds of cookies (as long as there are no raisins in them). I used to always make little bite sized soft and chewy snicker doodles for munchies, and I needed a sweet replacement. So I tried the Snickerdoodle Dippers from Graze. Now Graze is one of those food subscription services that send all kinds of healthy treats. 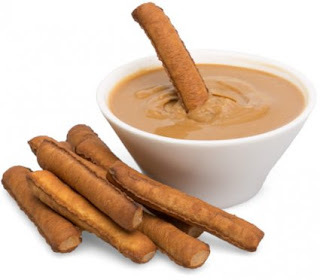 I love their Kern Pops and Nut Mixes, but their Snickerdoodle Dippers are to die for! You can get them here! They remind me of those long biscut crackers you used to eat as a child with a cheese dip. Except they are a delicious whole grain cinnamon biscuit with a delicious cinnamon dip reminiscent of cookie butter. They are prepackaged so they are easy to put in lunches and to grab for snacks. They also have all nutritional info and calories on the packaging! I love to eat pop-able candies. 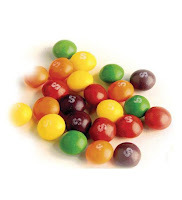 I love skittles, starbursts and sour patch watermelons! I love something I can throw into my mouth and chew on while watching a movie, or riding the commuter train home from work. So what so I do instead? I use frozen grapes. I will admit that I do usually sprinkle a little sugar (or stevia) on the grapes first, but you literally just freeze them in little baggies and they are so dang good! Once again, if you put them in snack baggies it helps with portion control and makes it convenient for lunches or quick snacks. Do I need to start by saying how much I love chips? I love all these snacks, and I suppose chips is no exception. There are SO MANY healthy chip alternatives out there though, truly. But chips are usually fried in a lot of oil (including pals oil) and your fingers are coated in grease after eating. It's great to get baked chips as an alternative, but taking it one step further would be a chip that is made of healthier ingredients (because in case you didn't know - potatoes are actually not very good for you), and cooked with oils that are good for you! To the right you have pictured Jackson's Honest Sea Salt Chips. These are made with potatoes, but use simple ingredients. 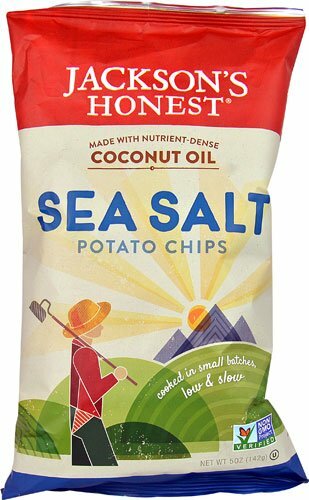 Their classic chips are made with only three things, potatoes, sea salt, and organic coconut oil. But I am not a fan of coconut, and you can't taste it at all on these chips. 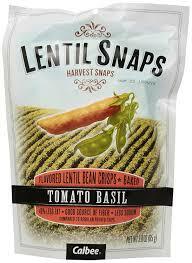 They are preservative free, gluten free, GMO free and certified organic! You can buy them online here, or click here to find out if they are in a store near you! Two other options are the Food Should Taste Good brand chips and crackers. They have whole grain tortilla style chips as well as my favorite sweet potato chips and more! They also use simple ingredients and are all gluten free, GMO free, and certified organic. You can click here to buy them online or click here to find where they are in a store near you! The last is pictures on the left, and those are Harvest Snaps! They have lentil beans and snap peas that have been air cooked into a crispy puff of delicious and are so tasty! My favorite are the pictures tomato basil, but they are all really good! And they are super inexpensive too! Click here to buy them online and here to find them in a store near you! Let me start off with the packaging. I love this packaging. It is the perfect balance between fun/trendy and chic/high-end. I love that! It's also sturdy and expensive feeling and functional. This mascara is generally really nice. It has great separation. The lashes clump a little bit, but because of the separation you almost can't even tell. It lengthens fairly well too. It does flake throughout the day though, so be aware of that. Overall this is a really standard nice mascara. There was one major draw back for me. And this may sound stupid, but it is a reason I am not going to be buying the full size in the future. The actual wand has very spindly curved bristles, and they catch every single lash. Well I always make sure to kind of dig in there and get the base of my lashes coated. The issue is that on top of catching every lash it ALWAYS hit my eye. I used this mascara 5 times, and each and every time the wand touched my eyeball! I am grateful I was only wearing my contacts one of those times. Now I get makeup in my eyes ALL THE TIME, so this should be no big right? but it BURNED SO BAD. I mean normally it startles me a little and inevitably my eyes water up a tad and I have to touch up my eyeliner. But this stuff stung like I was pouring freaking Tabasco sauce in my eyes! It was awful! I BAWLED and I was late work because of it every.single.time. So if you are not as clumsy as me or you can take the stinging sensation, go for it! Otherwise, I'd personally go with a different option. That is why I gave this mascara a 3 instead of it's scored deserved 4 stars. This is one of my most used products in the salon. I was actually trying to find this on my product reviews site and realized I hadn't reviewed it yet and was shocked! Oops! 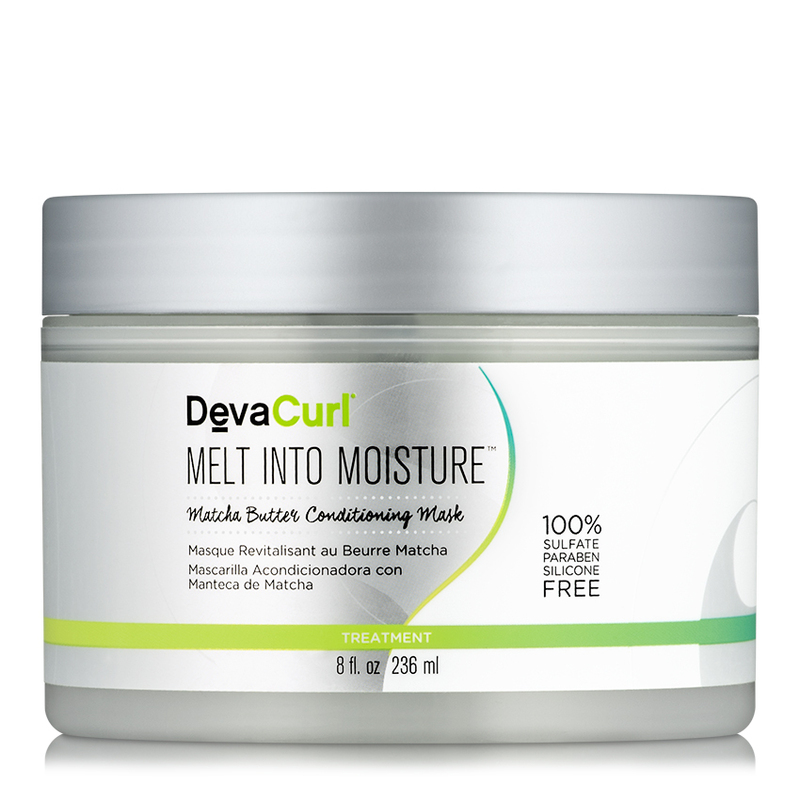 This product is a simple heat protecting leave in conditioner. It protects from uva/uvb rays as well as a blow dryer. The packaging is sleek and functional. It has a citrus scent but it is a super light, and you can't really smell it after a couple of minutes at all. A little goes a super long way which is always nice, and it does protect your hair very well. My only gripe is that I wish it hydrated a little more. I use it mostly on those with healthy or normal hair, but if I have someone whose hair has a lot of damage I usually opt for a different product. I love it for super fine hair because it doesn't add any weight. 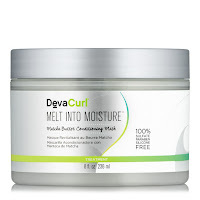 But as you all know a good heat protectant is key to healthy hair, and this one is one of the best! Hello to all my wonderful readers from all over the world! I am going to start with an apology - I have been MIA all October! This is because my little sister got married, so I had a lot of friends and family in town that I was spending time with. I took a week off of work and did my best to spend that time enjoying the company of my loved ones. I grew up in a small town in California and moved to a different state when I was in middle school. The only friend I kept in contact with was a friend I made in the 4th grade named Kaylee. She came out and I spent the week with her (I hadn't seen her in almost 5 years!) and I enjoyed every moment so much I didn't take hardly any pictures! If you do not follow me on Instagram - you should. You can follow me by clicking here or looking me up on Instagram with the handle @AngelaWoodwardC. If you do follow me you would have seen me transform my besties hair last week, as well as the matching tattoos we got, and that I announced a move to a new salon! It was clearly an eventful week for me. So now that I've explained my long absence I wanted to call upon you all, to ask you what you want form this blog. I want Beauty Blog by Angela to be what you want it to be! So do you want more health updates? More recipes? Less of those things? More lipstick? More brand battles? What do you think? What products do you want me to try out? Do you have any specific questions? Let me know in the comments, or you can message me using the contact form on the right hand side of the page (the form does not show up on mobile devices)!